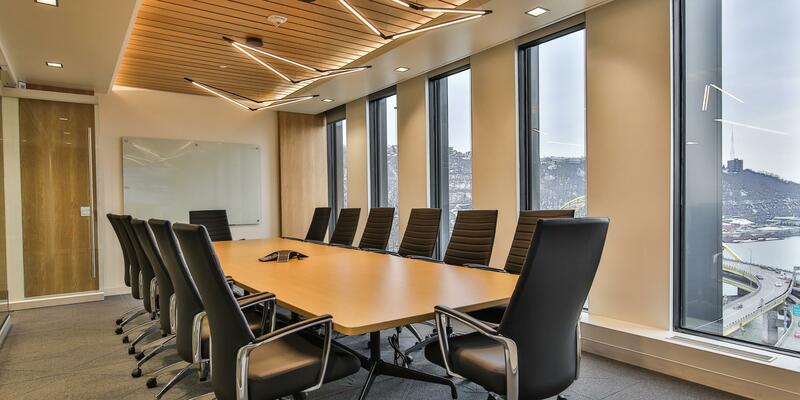 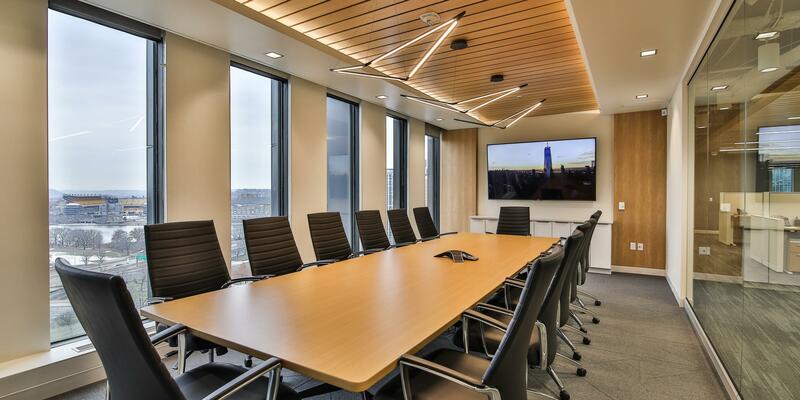 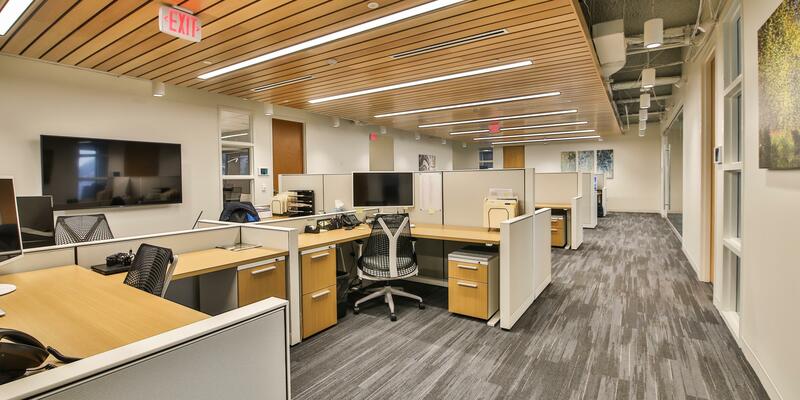 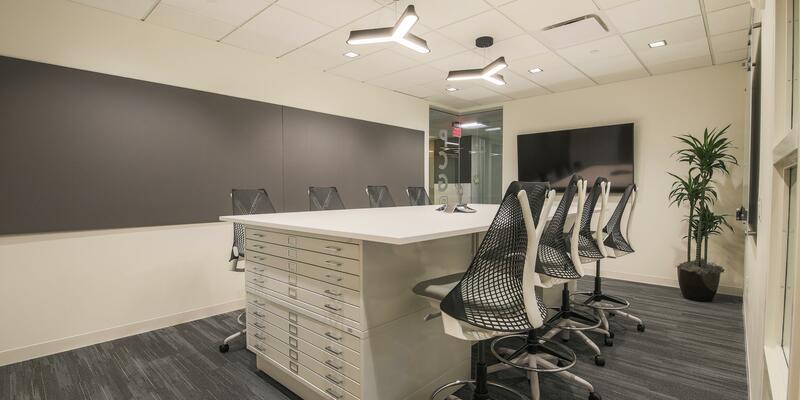 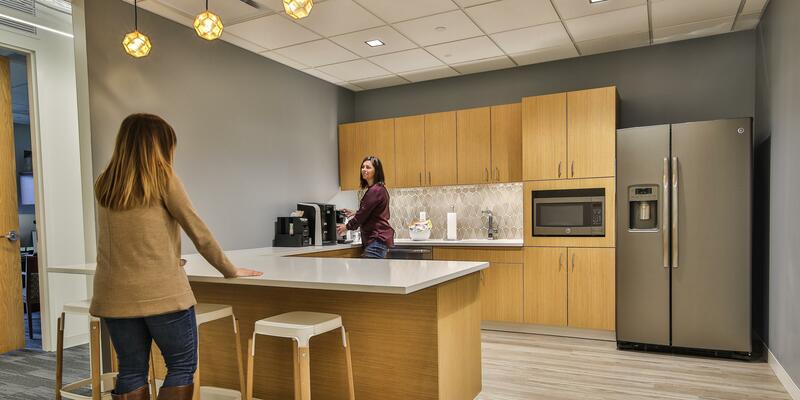 NEXT architecture designed a 6,000 square foot workplace for Penn Cove Group, PCG, in the 11 Stanwix building in downtown Pittsburgh. 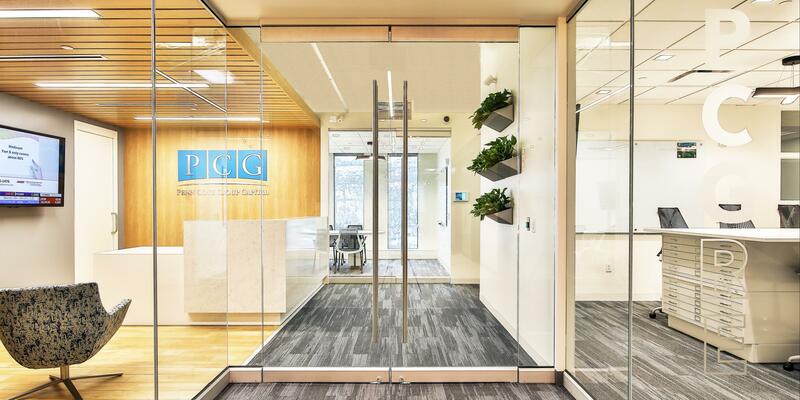 PCG and PCG RE are parent and sister companies of Pineapple Payments, a previous client of NEXT. 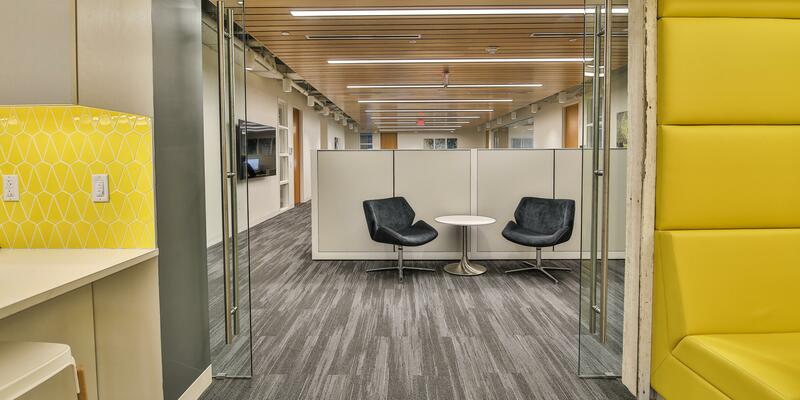 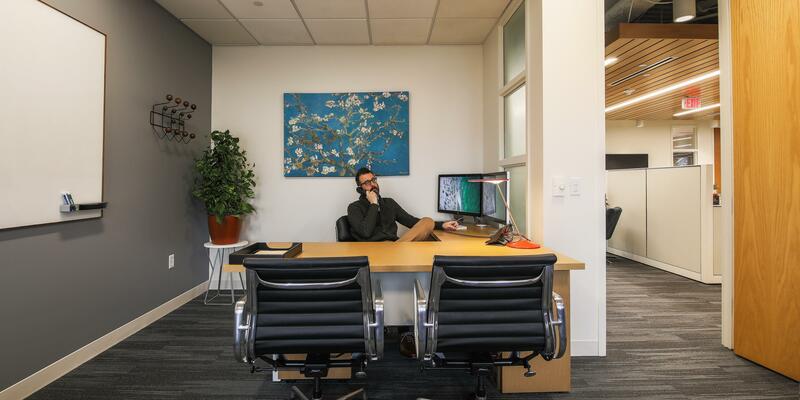 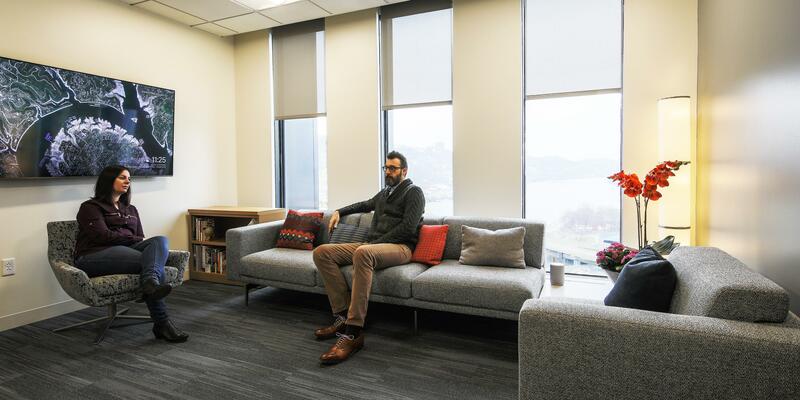 The new PCG space was designed to abut the Pineapple Payments space with sliding doors that open into each other. 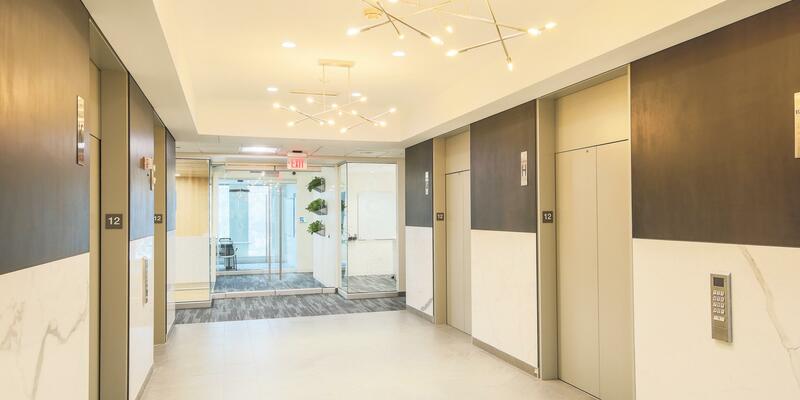 The interior layout reflects the company’s development and growth; private offices around the perimeter, open office interior area and ample conference space throughout the office. 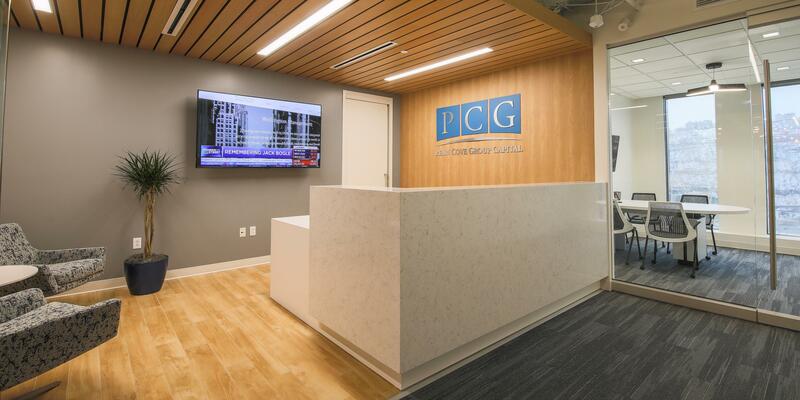 The material palette is reflective of PCG’s office culture with subtle pattern similarities to the adjacent Pineapple Payments space, allowing PCG to maintain their own distinct workplace appearance.